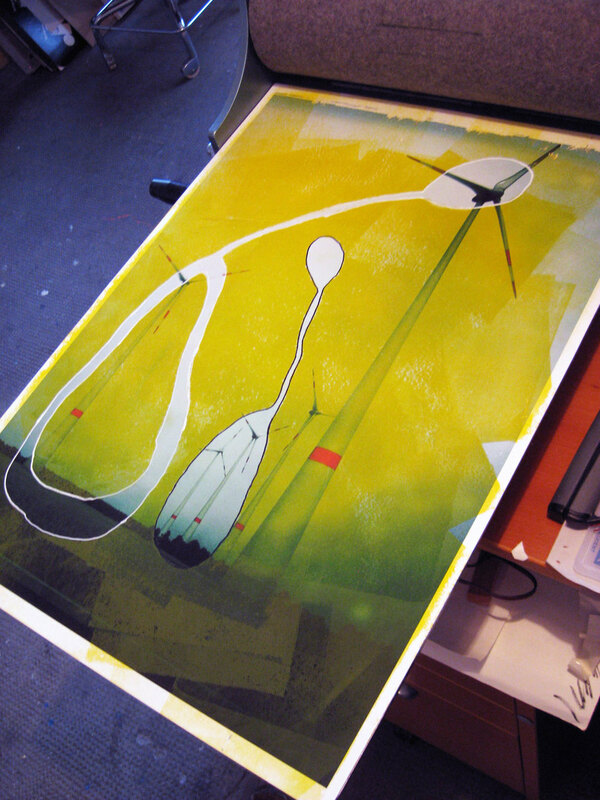 The past few weeks I've been preparing furiously for a solo exhibition that I have in February here in Germany. I'm very excited to have this opportunity, and am particularly delighted that it's at Galerie Uhn, a lovely gallery owned by Jimin Leyer here in my "hometown" of Königstein. In addition to the satisfaction of preparing a new body of work for its gallery debut, it's a real pleasure to work closely with other local artists, makers, and design professionals who are involved in the process of creating the work and producing an exhibition. 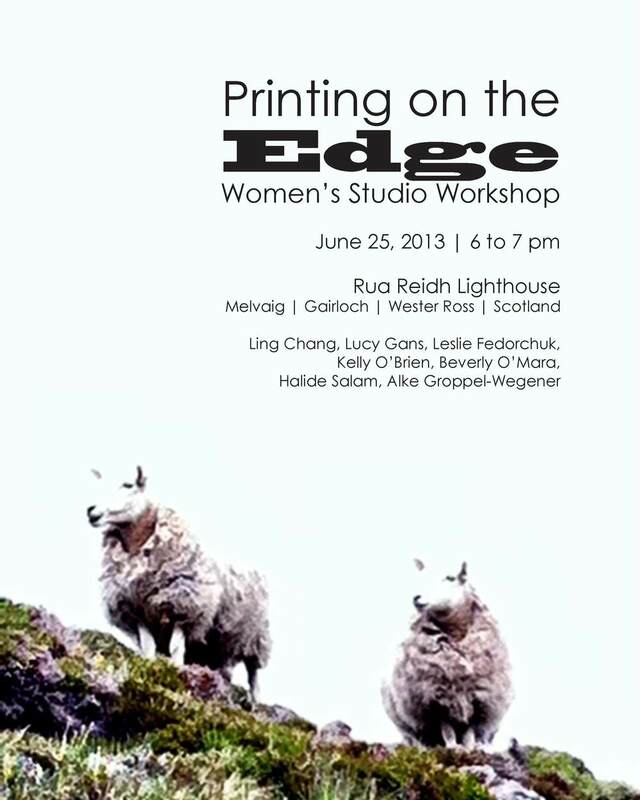 Astrid Blasberg shared her studio and etching press with me last week, where I worked on a new batch of Postcards from the Edge. The new larger-format series will be in the exhibition, reflecting scenes of the Taunus (this rural region where we live just outside of Frankfurt). Astrid is a painter with a great eye for color! Working along side her – even though we were each focused on our own work – was real inspiration. Heinz Pflug is a fine art photographer and digital printmaker who helped produce the base prints for the Postcards. 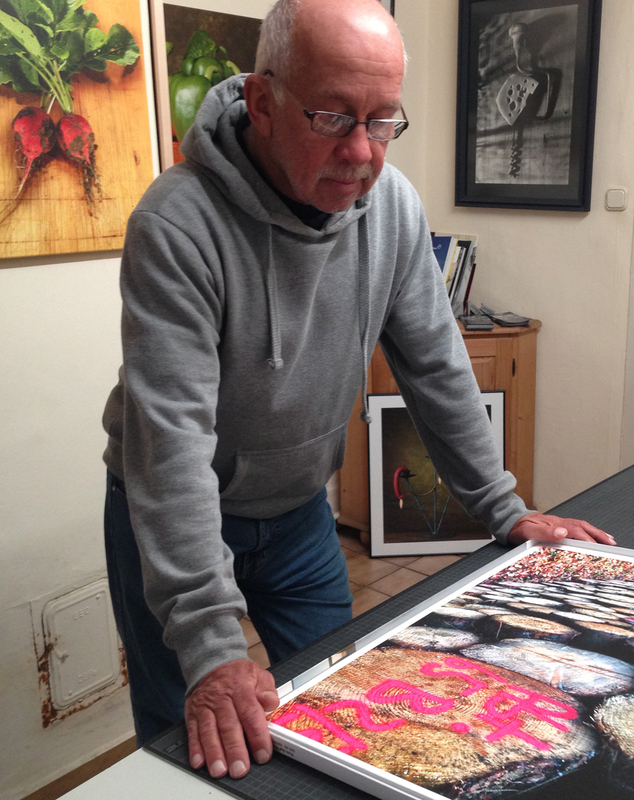 His expertise and high standards helped me get crisp, beautifully-saturated prints of my photographs. Julia Schwager is helping me photograph the work for an exhibition catalog. After trying to shoot the work myself with disappointing results, I'm learning it pays to bring in the experts! Her methodical approach is teaching me that there's a lot to getting good images. Plus, Julia's great fun to work with. 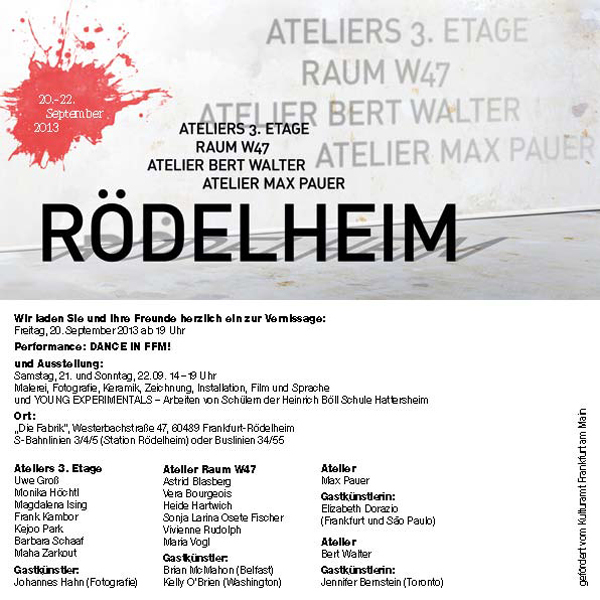 Katja von Ruville is designing and producing the exhibition catalog. I adore Katja's esthetic (and her gorgeous handmade jewelry), so I'm very happy to tap her talents for this project. My local teacher, Merja Herzog Hellsten, has been a catalyst for the direction of this work since I started classes with her last Spring. Not only is Merja a productive, successful working artist, but a highly effective teacher with a gift for honing in on just the right feedback when it's needed. Last, but definitely not least, is my mentor Lisa Kokin. Lisa deserves her own blog post, which I will do. For now, suffice it to say that there would not be a village without Lisa's gentle tough love and steady presence since Fall 2011. I sought her out as an art coach when we moved overseas, knowing that not only did I need a wise guide to help me transition to fulltime working artist, but also someone to help me find the courage to put myself out there in a new town. The fact that Lisa's based in California hasn't stopped us and proves that one's "village" can be global as well as local. One of my desires in moving overseas was to become immersed in local, everyday life. It's surprisingly easy as an expat not to integrate. You've got to put yourself out there in small ways that can easily become obstacles if you don't face them down: making phone calls in German, working all day through technical details with someone who speaks no English, deciphering a proposal in German (Google Translate does a lousy job), hunting down local resources and suppliers in German, preparing catalog text in two languages. I could go on! None of this is a complaint, but it is an added layer of challenge. Which is why I'm grateful to everyone involved. They are collaborators, mentors, professionals, and friends. I wasn't sure that I could have this outside the comfort zone of my longtime hometown in the US. This experience is teaching me that, yes – it takes a village to pull off a "solo" exhibition – but that village can be anywhere if you're willing to put down the fear and just connect with people. 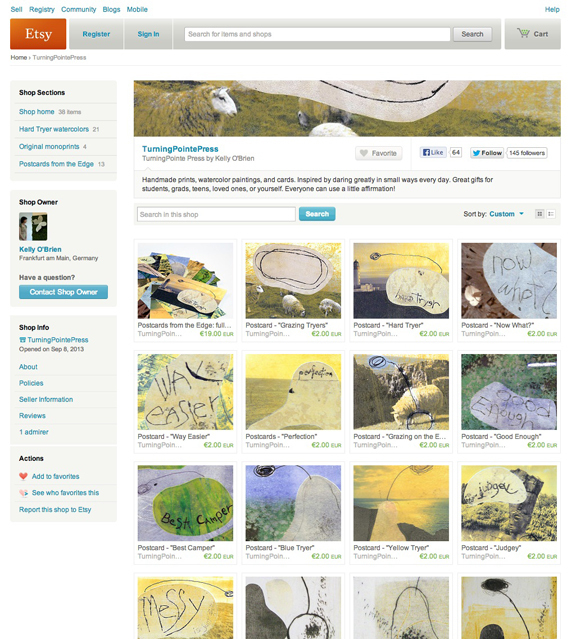 Just in time for back-to-school shopping (and holiday early birds): you can now purchase some of my work online through the world's largest online marketplace for handmade goods, Etsy.com. I'm starting small, with a few Hard Tryer pieces...small watercolors, hand-pulled one-of-a-kind prints, and high-quality reproductions of my original Postcards from the Edge series as postcards and blank cards. Get yourself a little something! Whether it's affordable original art, or a stash of cards to dash off quick notes to friends, clients, students, your kids...or anyone who'd enjoy celebrating life's everyday victories. Several years ago during a course at Penland, I shared a meal with Margaret Couch Cogswell, then Artist in Residence of Penland's coveted three-year residency program. 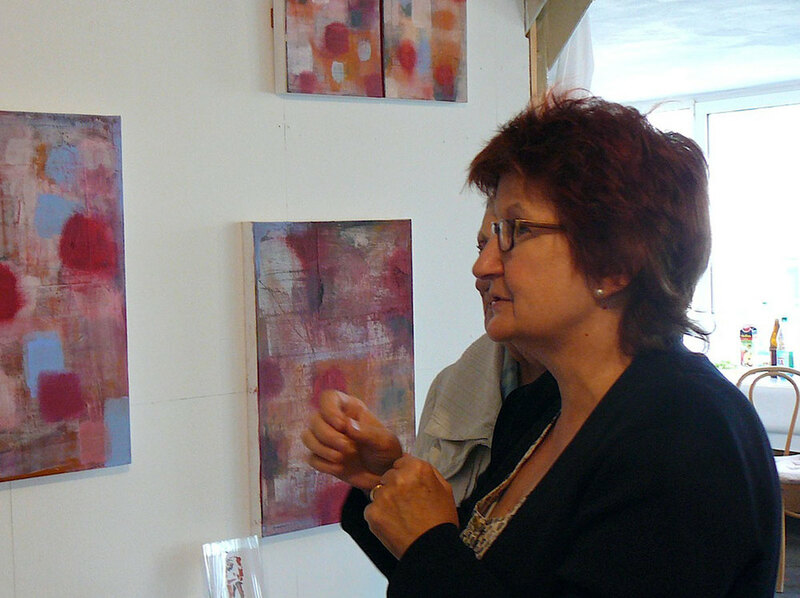 I was just beginning my transition from government contractor to artist and wanted Margaret's input on the shift at mid-life. She was forthright and generous with her perspective, encouraging me to focus on the work and tune out the noise in my head about it being too late or that I needed to have a formal art degree before I'd be taken seriously. After all, look at what she had accomplished by following her own advice. Fast forward a few years, and Margaret is once again dispensing generous, accessible advice on how to follow your bliss. 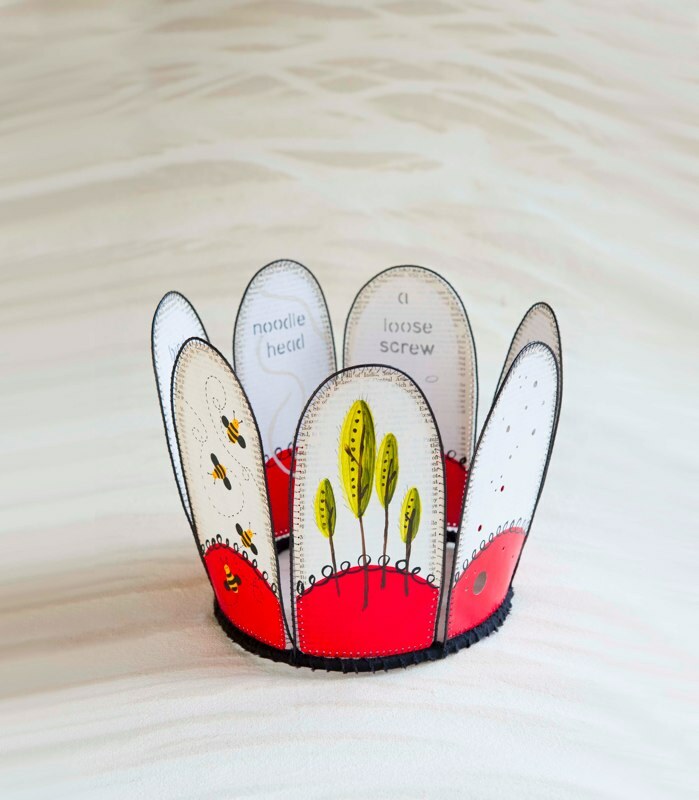 In her first book, Book Play, Margaret invites us into her whimsical world of handmade books and bookish objects...wearable crowns, tiny wheeled sculptures, hand painted journals, and more...all ours for the making by following her friendly, clear instructions. Margaret Couch Cogswell, "Head Case" (2012) wearable book crown (from Book Play, p. 115)Margaret shows us how to create a slew of original projects, many of which make clever use of unfancy materials and supplies. Nonetheless, I found myself making a shopping list of things to try, enchanted by many of her ideas: milk paint, black gesso, shellac flakes, baling wire, tin, oh my! More important than materials lists and how-to's, perhaps, is how Margaret lets us in on part of her process. 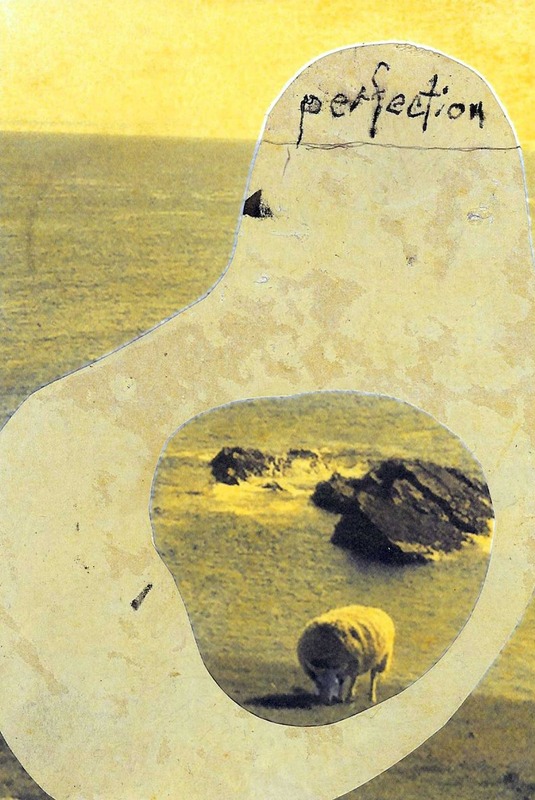 From her ongoing relationship with personal journals ("the foundation of my work, a visual narrative that supports my interior and exterior worlds") to how she found her footing as an untrained drawer and painter—her story is one that inspires. 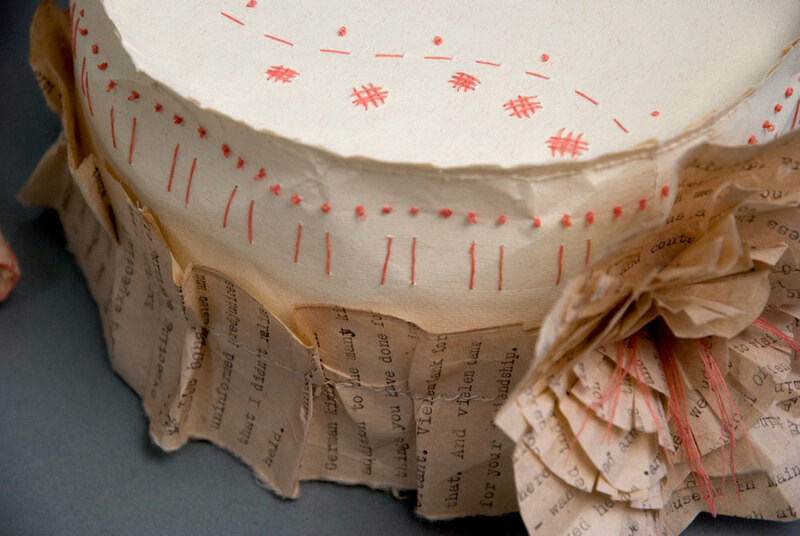 Through Book Play, Margaret marries accessible projects with fine craftsmanship and the art of the book. By emphasizing the correct-but-not-overly-stuffy way to get the job done (she loves a good glue stick!) and sharing beautifully-shot images of her own fine work, a standard is set that elevates the craft. It's like she's saying, "It's just fine to be a beginner, but don't compromise on doing good work." "Pencil is a primary material in my work for two reasons. 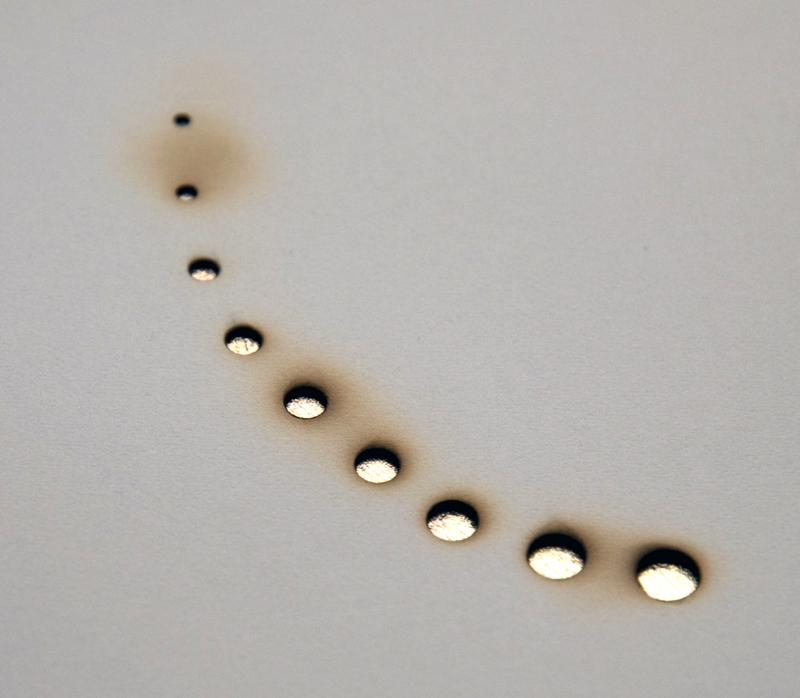 First, it represents impermanence and vulnerability—with the swipe of an eraser it is gone. The second reason represents a central theme running throughout my work: honoring the common, everyday objects and moments in our lives." 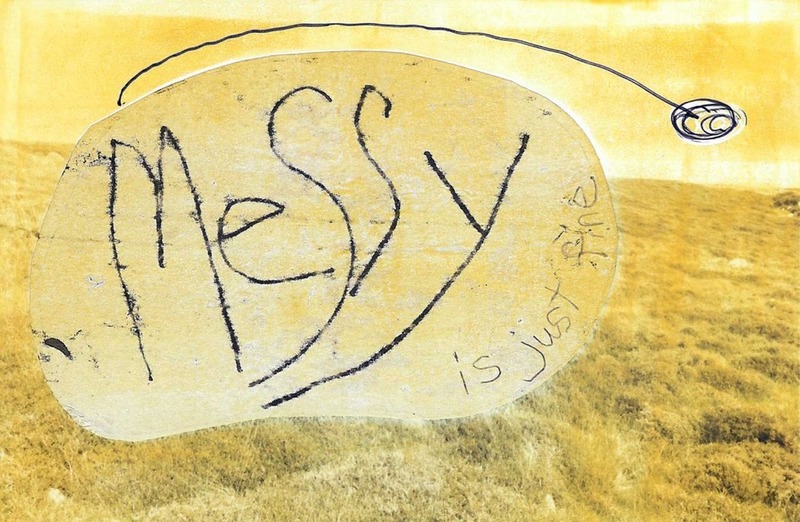 Once again, I find myself appreciating Margaret's unique contribution as a book artist and teacher. 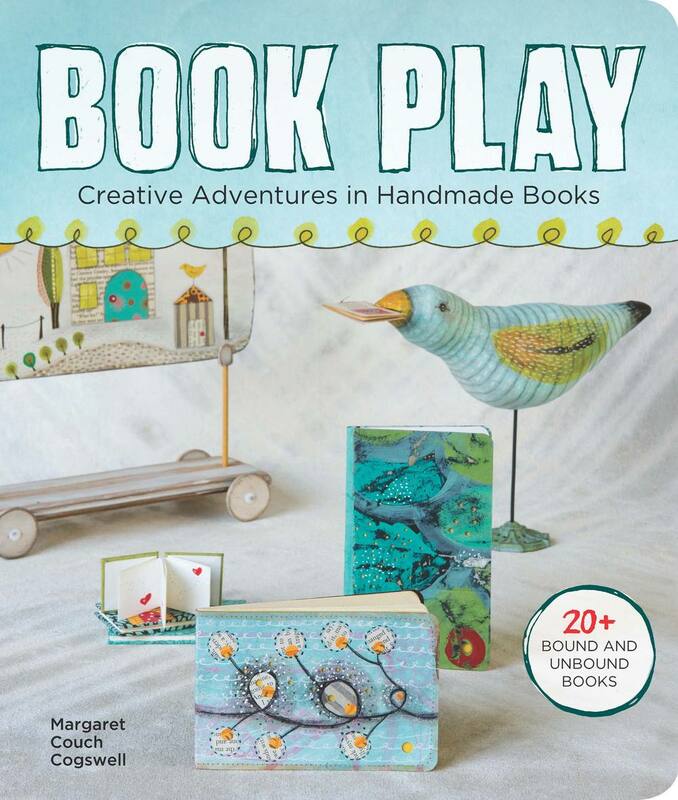 But what's special about Book Play is that now more people—beginners and seasoned artists alike—can experience Margaret's kindness and special brand of encouragement through her book. One of the surprises that emerged from my retreat in Scotland was a series of small mixed-media prints, Postcards from the Edge. And while my life story has had its moments, Carrie Fisher's 1987 autobiography of the same title is not my reference. They are, however, a response to a series of experiences this year: Printing on the Edge with Women's Workshop Studio, embracing my inner hard tryer, and seeing what happens when I stop, well, trying so hard. 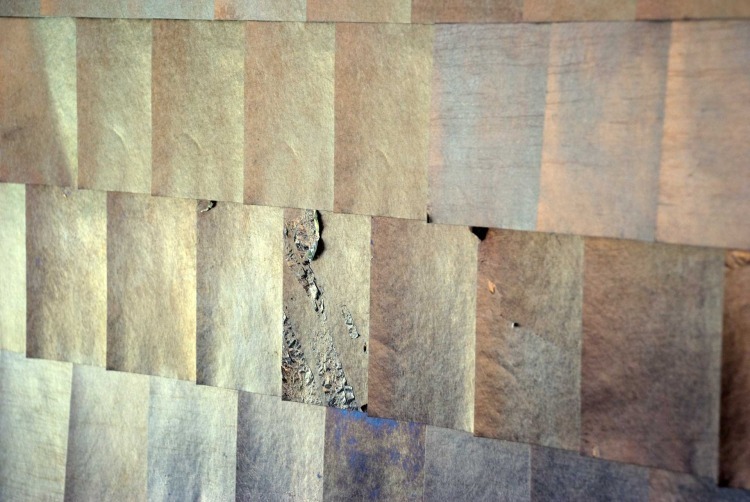 I'm off to install new work that's been emerging from my semester at the Städelschule night school. We're hosting Open Studios this week and next for all students, including mixed media sculpture, painting and drawing. 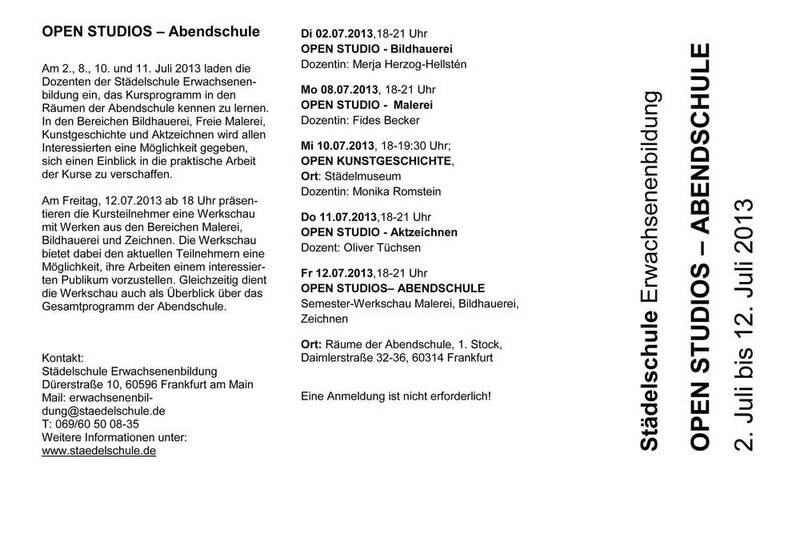 If you're looking for something different to do in Frankfurt, studios will be open to the public on Friday, July 12 at 6 - 9 pm. They're housed in an interesting old warehouse down near the docks at Daimlerstrasse 32. Worth the trip just to see the space, but come for the art! Here's a nice review of last semester's exhibition. It's in German, but Google Translate is helpful-ish to get the main points. Edginess in all its forms was what we were promised, and Printing on the Edge is what we got! 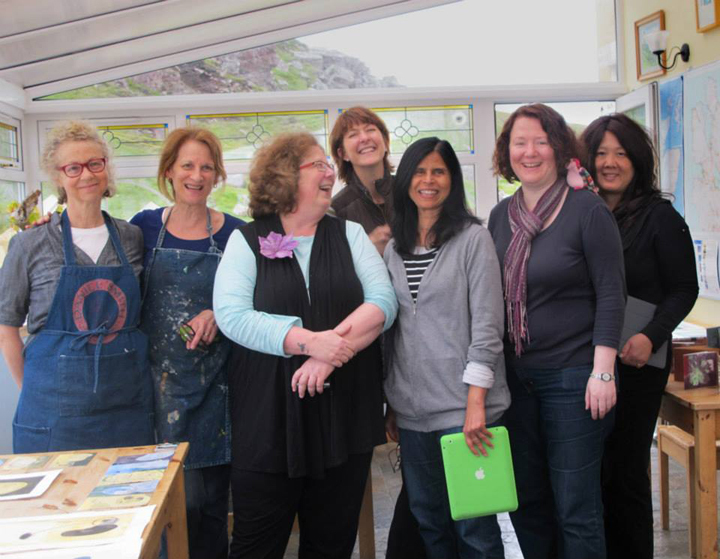 Ten days on the northwestern coast in Scotland in a lighthouse with a group of rocking women artists was bliss to begin with. But wait, it gets better. 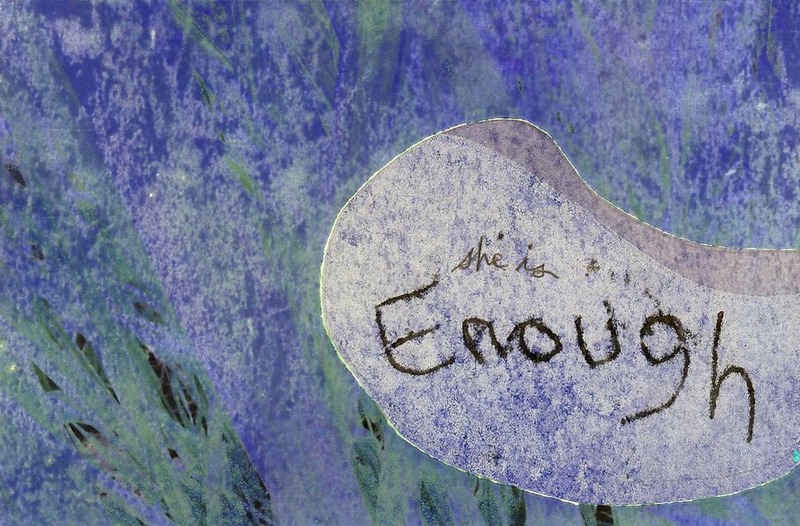 Led, encouraged, tough-loved and humored by Women’s Studio Workshop co-founders Tatiana Keller and Ann Kalmbach, we tackled printmaking, papermaking and artist books. Dramatic scenery inspired our work, while Susan Fateh’s seamless coordination of seemingly everything and sumptuous home cooking fueled our creativity. Never mind that it literally never gets completely dark there at this time of year, we were too engaged to sleep. 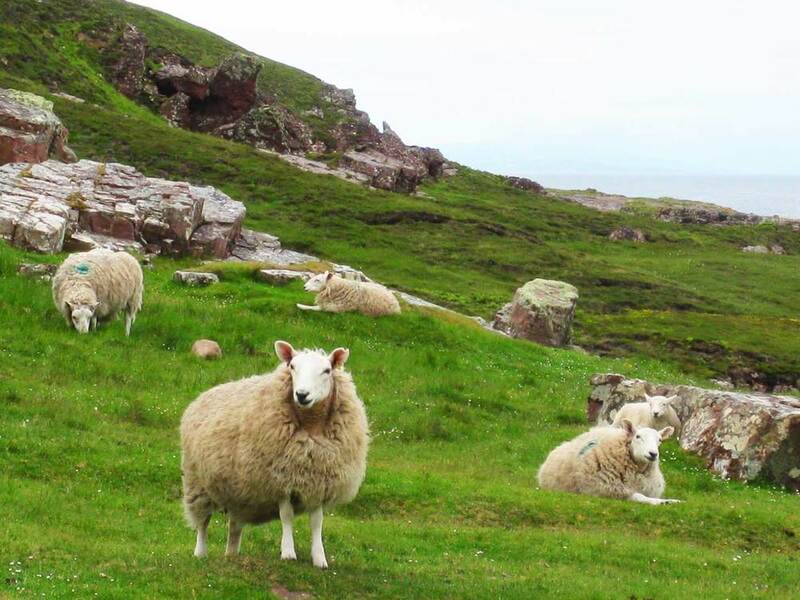 Even counting sheep didn't help much. Inspiration came at us from all directions. 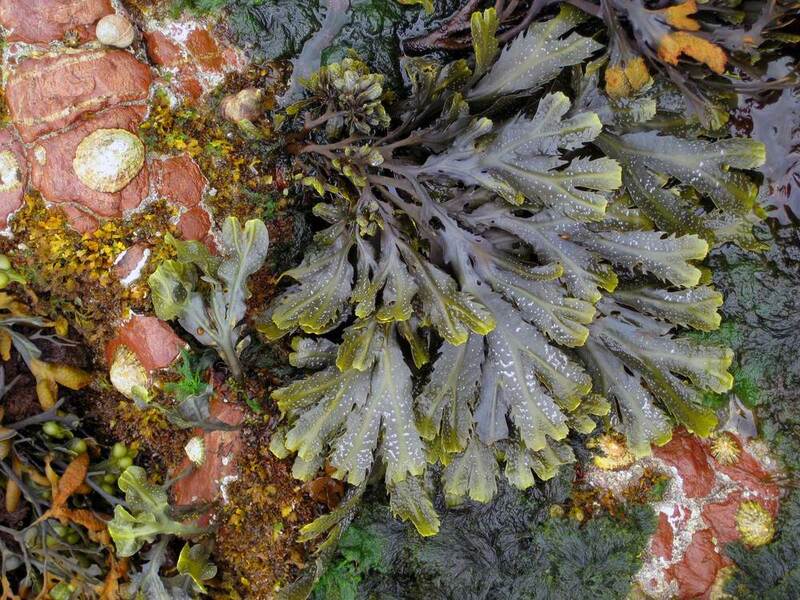 Weather in many shades of grey, expansive views of sea, rolling hills of heather, tiny wildflowers, craggy cliffs, and tide pools teeming with jellied shell creatures. An afternoon at Inverewe Gardens provided enough imagery to work with for years. If you’re ever looking for an unusual adventure, go. Our hosts and hostel owners, Roger and Tracy McLachlan, were extremely gracious as we converted their conservatory to our printmaking studio. 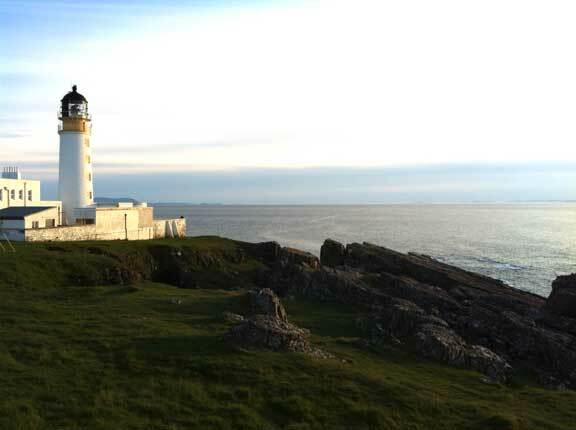 Rua Reidh Lighthouse is a historical gem, cozy where it counts, and the perfect base for long walks on the edge. You never know what will show up in the water – we spied an otter, grey seal, ships, sailboats, and a nuclear submarine. Most of all, it was a privilege to soak up the company of the women in our group. Thank you, Alke, Ann, Bev, Halide, Leslie, Ling, Lucy, Susan, and Tana for a memorable and cherished experience. And thank you, Ian, for this gift. As each evening’s pair of artist talks unfolded, we swam in stories of lives richly and thoughtfully lived, now reflected in layered, accomplished art. Our little “exhibition” at retreat’s end was a celebration of our collective output, attended by our hosts and a couple of German hikers that we lured in off the trail that passes by the lighthouse. This Spring, I'm taking a mixed-media sculpture class through the Städelschule Erwachsenenbildungädel (Städel Museum Adult Education Program). The 13-week semester class is in German and attended largely by serious and accomplished German artists and other fluent expats. Not only am I far from even conversant in German, I was unfamiliar with the ramifications of "German directness" in an art critique. It's actually refreshing to get clear and honest feedback on what people think of your work, but it has taken some getting used to while I wait for my skin to thicken. Add this to a couple of years of sustained exposure to "new" and frequently uncomfortable, and a critical mass seems to have accumulated. It feels like a tightly-stretched wire finally snapped, in a good way. As a result, the work that's emerging feels looser, more playful, and braver. Of course, a little self-deprecation has also been helpful when juggling multiple ego-confronting forces at once. Hard Tryer is the series of 2D and 3D studies that's emerging. The title is a nod to the vulnerable, slightly awkward, determined, yet hopeful part of us that conjures the courage to try new things. My friend Mandy—witness to a lot in our long friendship—has called me a hard tryer for years. It's a label I used to cringe at, and now (ironically) seem ready to play with. 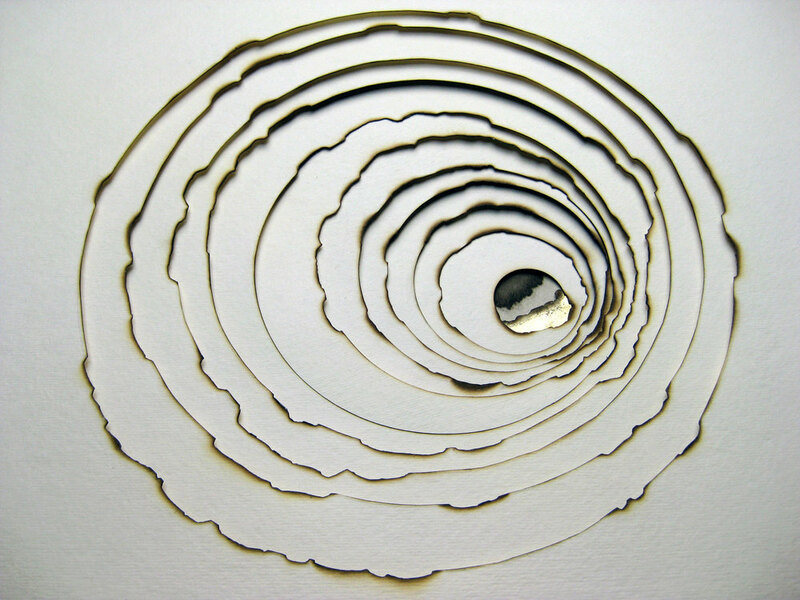 "Golden" (commissioned installation) by Kelly O'Brien (2013). Image: Monica PecoraroJust installed a new commission in the lovely home of a friend here in Germany. She'd seen a similar piece I'd done in our own home last year and asked if I could do something similar for her living room. Of course! The original for our home was installed directly onto a wall. Lovely to behold, but ultimately ephemeral - when we leave this house it either gets torn down or bequeathed to the next inhabitants. What I love about Monica's piece is that we were able to transfer the sense of delicacy, movement and glow to her home in a way that's a bit more practical than my original design. For Monica, I created something to work in a large, high-ceilinged space - yet light enough (and flexible in size and shape) to move or morph for future homes. Sitting here, with a glass of wine, enjoying the view! Thanks for such a beautiful creation. The changing light on the papers last night was stunning! Big thanks to Monica for the opportunity, and I'm happy to know that my work has found a good home. In my last post, I mentioned three exhibitions in the Marseille-Provence region that my work will be in this spring. Playing With Fire is new work for an exhibition at The Red Door Gallery in Aix-en-Provence. The task was to use French poetry as inspiration for paper art. I found Silvia Baron Supervielle’s poem, A l’Encre, in Elles, an anthology of modern French poetry by women. You can read the full poem in English at the end of this post. This project was full of surprises from the start. The original idea that was accepted by the jurors was a life-sized paper sculpture installation—inspired by another poem—that became unwieldy to transport and install. I had to shift gears from large to small, 3-D to 2-D, and find a new poem that inspired. Quickly. For A l’Encre, my initial focus was on ink—shades of ink washes, splatters, lines, an inky ombré grid. It felt obvious and safe, since everything else was out of my comfort zone. Out of many tests and samples, one tiny detail emerged that excited me: a delicate, organic edge of ink that seemed impossibly thin to recreate or predict. 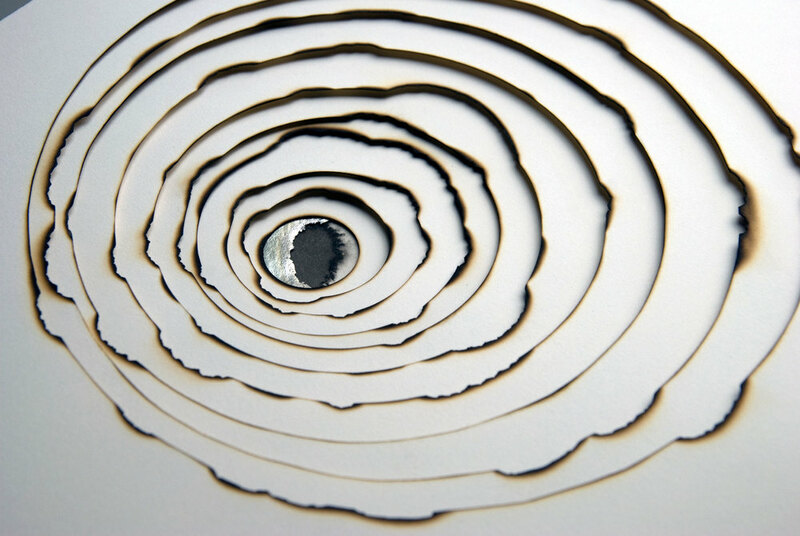 Paper, ink, pencil, cut, engrave, crumple – a kindred obsession with shared materials of our different crafts. 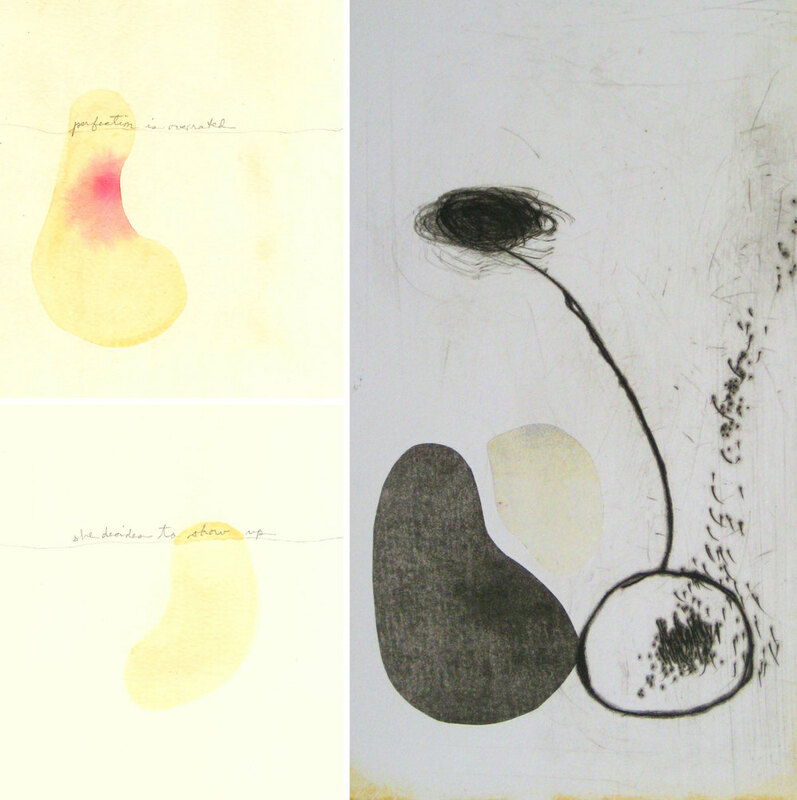 Silvia Baron Supervielle’s poem, A l’Encre, deploys rich visual metaphor to evoke her process for getting poems down on paper, using words and images that I covet. As it sinks into me, the power of this poem is in the physicality of Supervielle’s process. 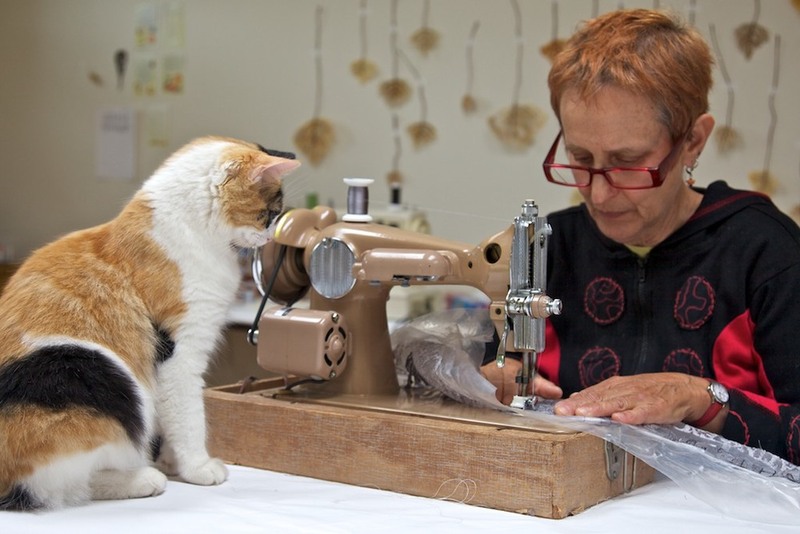 She seems to interact with her work viscerally, physically. Like a dancer, she allows words to flow through her, musically, and drip out onto the page. There is struggle, but also grace. Shared materials, shared struggle. I circle around the materials again and again. Trying too hard to find an elusive answer. Only when I give over to faith do possibilities emerge. Repetition, movement, rhythm, a light touch. These are calming, clarifying actions, just as paper and ink ground me in their simplicity. Fire? Fire is a different story. Dangerous, unpredictable, mesmerizing. Fire is Supervielle’s outcome, what she waits for, the reward, a beginning. As I burn delicate paper edges, I wonder if I can have that too, without bursting into flames. What most excites me about this project is the challenge of working smaller, quasi-2D (the work hangs on the wall, but is still sculptural), and in the abstract. It's a direction I plan to investigate further. One of the opportunities I am taking advantage of while living overseas is to get my work seen outside of the United States. 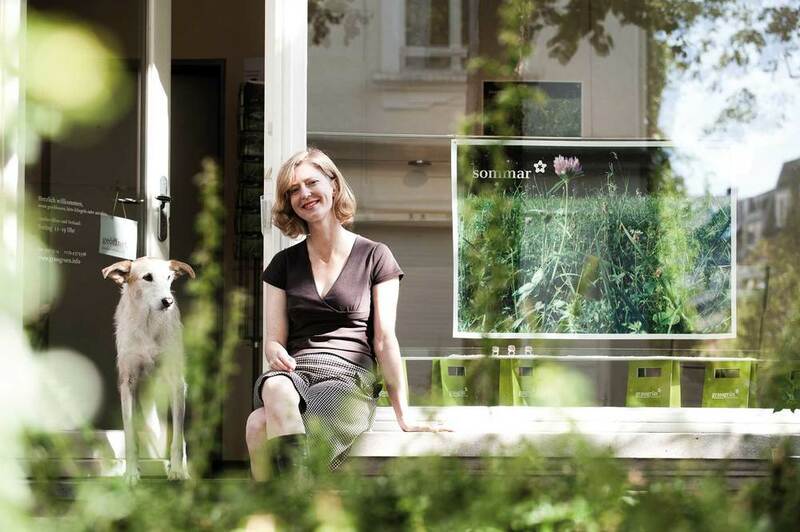 My first experience was really positive with A House With Four Rooms in Frankfurt. Coming up: southern France in conjunction with Marseille-Provence 2013. Each year, two cities are selected to represent Europe as Culture Capitals. Tons of arts programming revolves around this honor in the Marseille-Provence region, including the PAPer'Art Project, a year's worth of paper art exhibitions. My work is in three exhibitions, the first of which I highlight here. Love Letters From Germany is inspired by Albert Camus’ essays, Four Letters to a German Friend, a set of letters that Camus wrote to a German friend who had joined the Nazi party. Camus wrote the letters to explain why he was ending their friendship. I have written four letters to real people, exploring my experience of living as an American expat in Germany with lifelong ties to France. 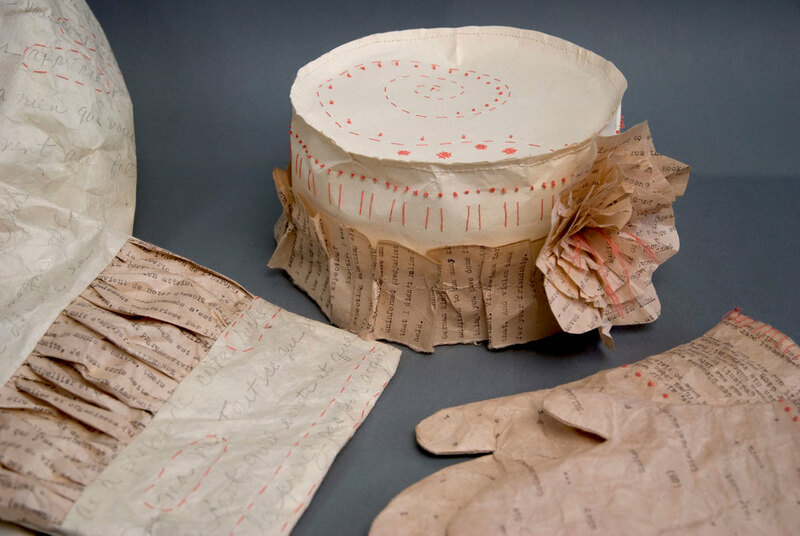 This work is a continuation of my use of wearable paper objects to explore memory, story, and personal experiences. Each object in this set is a complete letter. A hat, scarf and mittens are indispensible items I have added to my wardrobe since moving to Germany. Wrapping myself in this experience, I am trying on and wearing the expat life for now. 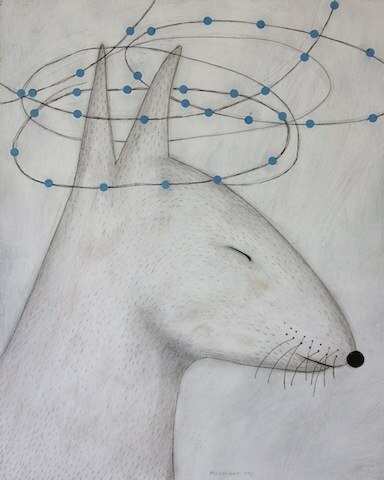 Hat: to my German friend and fellow-artist, Anna, thanking her for her friendship. I also express my surprise at being warmly welcomed by Germans in general, a reflection of latent prejudices against Germany that I didn’t realize I held. Scarf: to Jacques & Ginette, my French host-parents who live near Montpellier, and who have been like family to me since the 1980s. I ask them about their long relationship with German friends through the twin-city rapport between Montpellier and Heidelberg. This year marks the 50th anniversary of the Franco-German Élysée friendship treaty signed in 1963 by Charles de Gaulle and Konrad Adenauer. A recent survey exploring public sentiment in France and Germany about each other is reflected in this letter as well. Mitten 1: to Friederich, an 85-year old German man who was in the German military and a prisoner of war. I ask him about this experience and what he knew, thought or did related to the Holocaust. The letter also addresses his post-war life, including a move to Peru to study art, and a distinguished career as a sculptor living in a town near my home in Germany. Mitten 2: to a 19-year old girl, Martina, asking her about what it’s like to be a young person in Germany today. I’m curious about what makes young people in Germany tick, and how it might be similar or different from youth in France or the United States. Recent polls on this topic reflect that young Germans are generally a practical generation, focused on making good choices and gaining a solid education, but that there are vast discrepancies between opportunity for middle-class and poorer or immigrant youth. I ask Martina how it feels to come of age in a country with a bright future, but pressure to successfully lead the way for many others who struggle. Through researching and writing these letters, my perspective on Germany has been updated, expanded, and become more nuanced. These are letters of affection and gratitude to the people I have met or known, as well as a reflection of a budding affection for my adopted country. 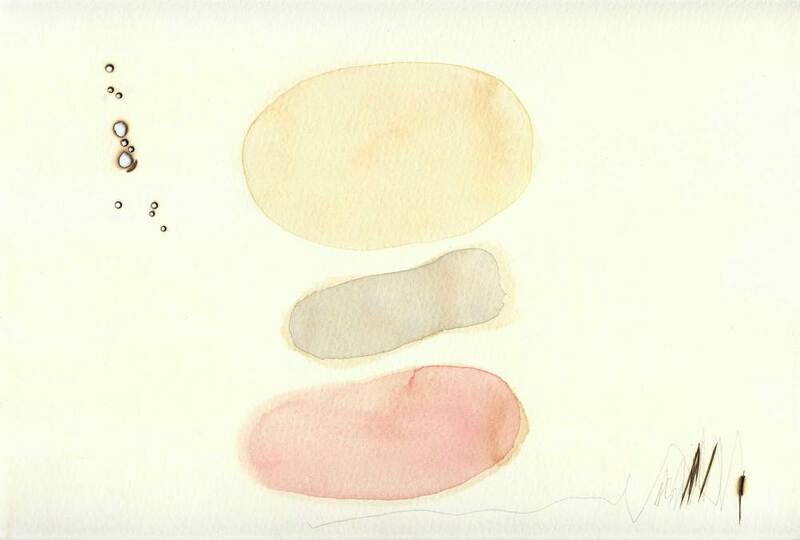 Love Letters From Germany will be on exhibit at the Institut d'Etudes Politiques d'Aix-en-Provence, Aix-en-Provence, France, March 7 - April 7, 2013.